Today, we’re introducing the last one out of our seven 2018 scholarship recipients. Feel free to take a look at all our other 180 Medical College Scholarship recipients who’ve already been featured on our blog, including Kale, Marissa, Alaina, Ian, Lauren, and Macolin. We really hope you’ve enjoyed getting to know these students and their goals of helping others with their future careers. On top of that, we’re really excited to begin judging the new batch of applications that are flowing in for our 2019 180 Medical College Scholarship Program. Don’t forget that the deadline to apply is June 1st! For many children born with Spina Bifida, the symptoms aren’t always severe enough to be immediately detected. That’s close to the case of what happened with Helena. She always felt mostly able-bodied, so she never knew she actually had a disability. “I felt invincible,” she says of that time in her life. That all changed when her doctor told her she would need to get spinal surgery at eleven years old. Then one surgery turned into eight, ranging from very invasive to minor. Unfortunately, after multiple surgeries and hospitalizations, she missed a lot of school days. In fact, she accrued 180 total absences throughout those crucial times during middle school. Additionally, she experienced nerve damage and lost function of her left foot and ankle. Of course, this was an incredibly hard period in Helena and her family’s lives. But also, Helena felt the situation negatively impacted her academics. Despite her setback, Helena studied hard and made the most of the time she had in high school. Helena isn’t afraid to admit that having a disability isn’t easy. It set her back from many of her passions at first. Sometimes she feels sad that she has to use a crutch or a brace. For a while, she thought she’d never keep up with the others on her swim team again. However, after a while, she began to realize that sticking with it helped her improve at what she loved most in life. Without her experience of living through multiple surgeries and having Spina Bifida, she feels she wouldn’t be the person she is today. On top of taking on her schoolwork with a renewed passion, Helena continued participating in her school’s swim team. Thanks to her hard work, she’s now training under former Paralympians and hopes to make the cut for Team USA’s Paralympic swim team. 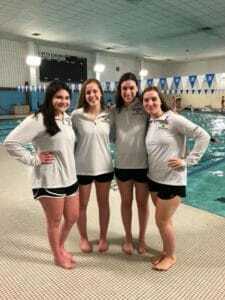 She also earned a Varsity Letter for Swim. Other awards and honors include being a part of the Art Honor Society, English Honor Society, Senior Leader at her school, and earning The Rock Award and the Unsung Hero Award. Additionally, she decided she wanted to do more for others. 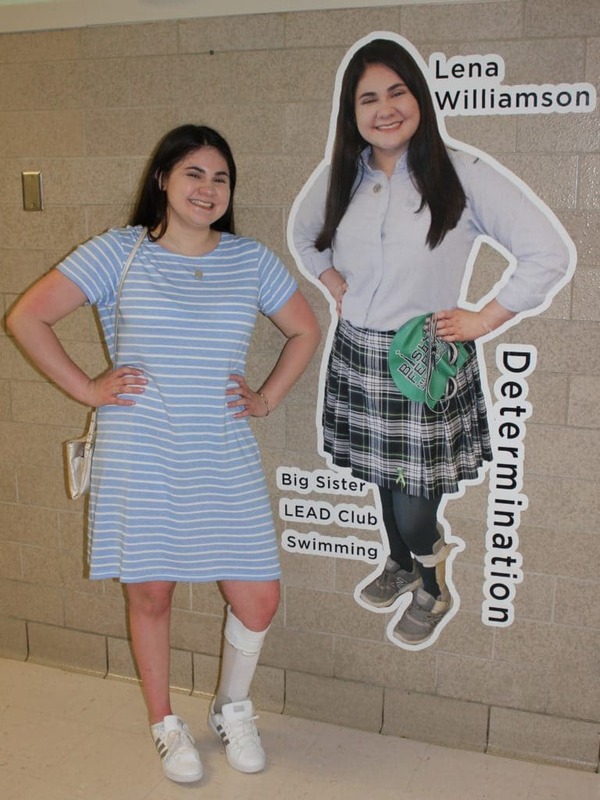 She became a part of the Teen Advisory Committee at Boston Children’s Hospital to take on projects and advocate to improve healthcare for kids and teens. She was the founder and co-president of the LEAD (Leadership, Education, and Awareness for Disabilities and Diseases Club), and she also participated in various volunteering events for Spina Bifida advocacy. If it weren’t for Spina Bifida, I may have never found my passion for the medical field that has led me to Northeastern University as a nursing major, which is the perfect place to continue my education. Today, Helena is cruising through school and working toward a career as a nurse so she can help others living with disabilities like Spina Bifida. At 180 Medical, we’re excited to see the ways Helena’s experiences will positively change others’ lives. We’re still accepting applications to our 2019 180 Medical College Scholarship Program through June 1st! Get full eligibility requirements and download your 2019 scholarship application at www.180medical.com/scholarships. We are honored to be able to help students achieve their dreams by offering an annual scholarship program. Learn more about one of this year’s recipients.